Includes unlimited streaming of Postscript via the free Bandcamp app, plus high-quality download in MP3, FLAC and more. Produced and Arranged by Andy Thompson and Jeff Litman. Recorded and Mixed by Andy Thompson in Minneapolis, MN, 2007-2008. Additional Recording by Jeff Litman in New York, NY, 2007-2008. Mastered by Roger Seibel at SAE Mastering, Phoenix, AZ. 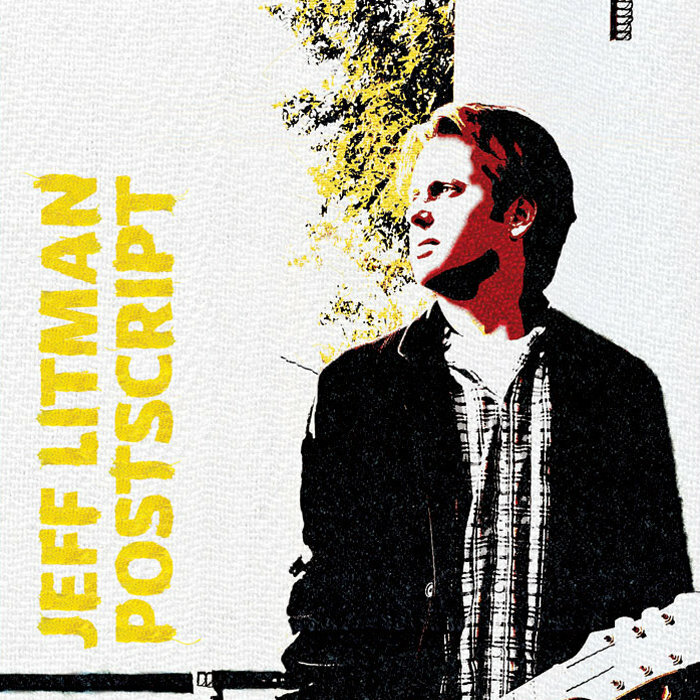 String Arrangements on Wife, Anna, and Postscript by Jeff Litman. She’s got a nice smile, and she thinks I’m a gas. I’ve never met someone like her. I open the door, and she shuffles her feet. It feels like June in November. Anna is perfect, but she’s got a boyfriend. Why do I always get hung up on someone like her. He’ll push her aside when he’s had enough. She keeps on saying he means no harm. playing the part of somebody who cares. I guess that’s all part of my charm. he’s no good for her now. She needs someone to rely on. spill your guts, I’ll try to be your friend. But what the hell’s the difference if your going home to him. that I’m someone to confide in. my shattered hope that you’ll come back. but you still complicate me. but I know you can’t be happy with that guy. so I don’t have to think about you, girl. but I’m not gonna cry. I’ll never see you in my bed again. But I just can’t let it die. of where it’s going to lead. I am jumping in head-first. ‘cause you are what I need. So tonight, let’s start our life. I’ve been all over town. that will make you want to stay. ‘Cause someday we’re going to land. the minefield that we laid out for ourselves. So, tonight, let’s start our life. throw it all in a small paper box. but in time I will leave you behind. and you won’t matter anymore to me. I’ll know that you were wrong. you’ll have been sung your last song. and I hope she’s complementary. I hope she’s everything you’re not. had me clinging to the ground. but it seems that you are not the girl of my dreams. Maybe someone else will be the one to break me from your spell. I’ll wait for someone who will give me back the love you took away. Then, I know I’ll be ok.
I’m the last one standing up against the wall. And it don’t make sense. This looks a little familiar. is getting longer and longer. This Detroit Layover’s gone on too long. but now I just want to go home. Someone come and get me off the ground. just had to cut my losses, it’ll all be fine. But the pilot says, “it looks like we’re going nowhere. and I don’t know how I’m going to find my way out there. Oh, this Detroit Layover’s gone on too long. and the second hand is ticking round and round. but I thought that I saw you in the park. It’s not that you’re so damn fascinating. I just can’t seem to lose you in the dark. you’re right before my eyes. and taunt me with your kiss. it was all a disguise. When I get up you knock me down. Every time that I turn around. I run away you lie in wait. I just can’t seem to help but scan the street. scripting what I would say if we should meet. when I just want to sleep. It knocks me to the floor. and it slams the door. You’ve come to cut me down to size. suffering for the want of a punctuation mark. just to see some tears in your eyes. forget I ever knew you at all. than I could have guessed. To bulldoze me like you did with out once looking back. you could see some tears in my eyes. just to watch it burn down. but you don’t make a sound. but just send it all into the past. and take your coat off for awhile. Be my distraction one more time. I have no reason not to smile. Let me pretend that you’re still mine. you would come around again. And I know I should run away. then I’ll watch the sky fall down as you are leaving. You know I don’t want another fight. and all the hurt will be erased. Just help me get some sleep tonight. and I’ll watch the sky fall down as you are leaving. I want you to dominate my life. I haven’t slept much since the day you said goodbye. but either way you’ll break my heart. You can go your way? and you can’t keep breaking my heart. you made when you left. And it serves me right to expect something more. You could lie, or you could obfuscate somehow. But nothing that you say could make a difference now. felt like I would die. And it’s not like me to go without a fight. But what’s the use of poisoning my own mind. I always knew that you lied to me. You always knew that I tried. You cut out my eyes. or if I’d ever be told. cause I finally heard the truth. how I drove you away. no, it wasn’t me...it was you.